It’s true of any commercial offering: sometimes a perfectly saleable item doesn’t move off the shelves as rapidly as predicted. Real estate is no exception—not every St. Cloud home is sold as quickly as its owner and the property’s Realtor® wish. When that happens, and the term of the original listing expires, an important decision must be made: should the listing be renewed, or should another St. Cloud Realtor be enlisted to try a different approach? If you have been dissatisfied with the amount of effort your current St. Cloud Realtor has demonstrated up to now, the decision will be easier than otherwise—especially if you have already communicated your impression and been less than overwhelmed by the response. You are right to expect that your St. 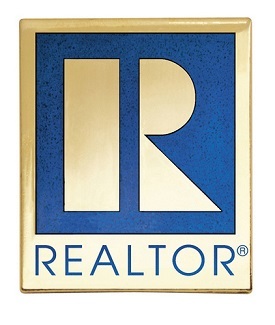 Cloud Realtor will have posted attractive, accurate listing material for the MLS, has included your property in the advertising program that goes out to the community, and has been diligent and professional in showings and (if it was agreed upon) open house presentations. You should have been able to contact her or him within a reasonable amount of time when communications were called for, been satisfied by the punctuality of appointments when scheduled. Before you decide whether or not to extend the relationship, ask your agent to review the days on market (DOM) for similar nearby St. Cloud properties. An analysis will show whether yours is the only slow-moving property, or whether it has simply hit a lull in neighborhood activity. If a hard-headed analysis tells you that switching St. Cloud Realtors is warranted, don’t worry too much about the reaction you will get. Most Realtors are very professional; they know that clients do occasionally change representation for a number of reasons, and that hard feelings are simply not warranted. Be ready to interview several agents and to compare what they offer. Pay extra attention to how they propose to stimulate activity—you are well-positioned to appraise their ideas! For my clients, in addition to an energetic marketing approach, I put a premium on keeping the highest quality communications flowing at all times. Give me a call whenever you have a St. Cloud real estate query!